Everywhere, the witches are rising. Are you ready to answer the call and embrace your own inner witch? 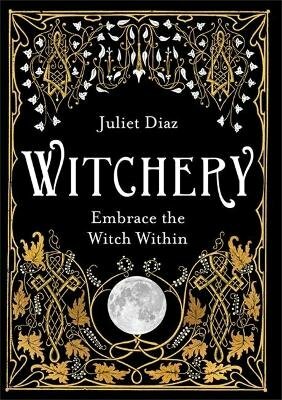 In this book, third-generation Witch Juliet Diaz guides you on a journey to connect with the Magick within you. She explains how to cast off what doesn't serve you, unleash your authentic self, and become an embodiment of your truth. You'll also learn the skills and techniques you need to build your own Magickal craft. Within these enchanted pages you'll discover how to: - Connect with the power of your inner witch - Create spells, potions, and rituals for love, protection, healing, manifestation and more - Amplify your energy by working with a Book of Shadows - Create an altar and decorate it according to the seasons - Work with the Moon and the Seasons of the Witch - Connect with your ancestors to receive their wisdom Filled with Magick, inspiration, and love, Witchery is your guide and companion on a wickedly delicious journey to true self-empowerment.